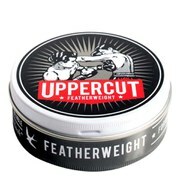 A boxing-themed brand that delivers a high quality range of grooming products sure to give you a knockout look. 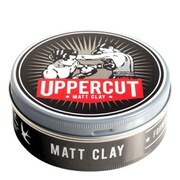 The Uppercut Deluxe Men's Matt Clay Combo Kit contains a collection of modern, yet classic products. E.N. A water-soluble product that helps you create a range of hair styles with a natural hold. Directions for use: Spread a small amount into hands and use fingers to work through dry hair, styling as desired. Gently remove hair products and nourish your scalp with this liquorice and camomile shampoo. Peppermint extract is contained for a boost in energy, leaving your hair refreshed and restored. Nourish your scalp with this liquorice and camomile conditioner with peppermint extract for a boost in energy, leaving your hair refreshed and full of moisture, making styling much easier. 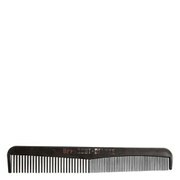 This modern, yet traditional men's Comb will help you achieve the perfect hair style. A pocket-sized comb for the well-groomed man, the wide and narrow teeth are rounded for extreme comfort.